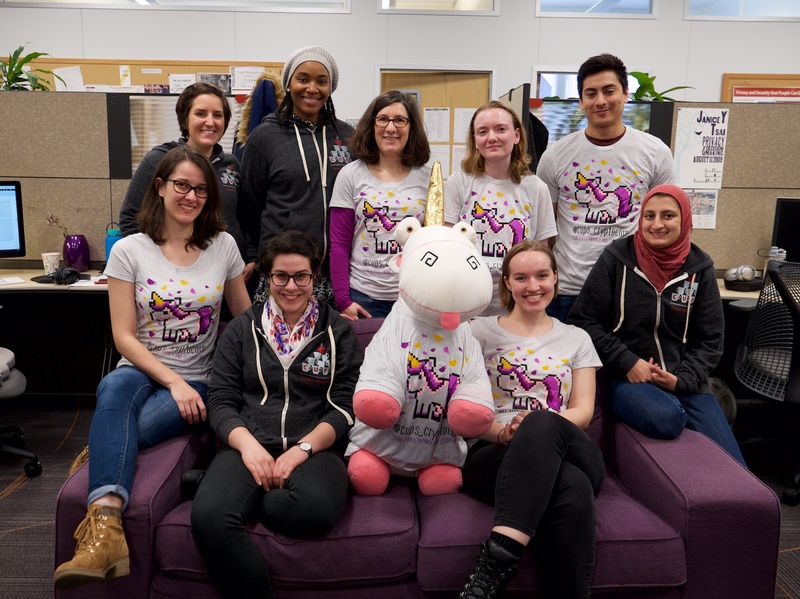 The CyLab Usable Privacy and Security Laboratory (CUPS) brings together researchers working on a diverse set of projects related to understanding and improving the usability of privacy and security software and systems. Our research employs a combination of three high-level strategies to make secure systems more usable: building systems that "just work" without involving humans in security-critical functions; making secure systems intuitive and easy to use; and teaching humans how to perform security-critical tasks. CUPS is affiliated with Carnegie Mellon CyLab. CUPS students come from several CMU PhD programs including the programs in Societal Computing, Engineering and Public Policy, Human Computer Interaction, Computer Science, Electrical and Computer Engineering, and Public Policy and Management. We also work with masters students from several CMU programs including MSIT-Privacy Engineering. Prospective students should apply directly to these programs. CHI 2018 paper finds deploying 2FA at a university is "not actually that horrible"
IEEE awards: Our passwords research received the 2018 IEEE Cybersecurity Award for Practice. The award went to Lujo Bauer, Nicolas Christin, Lorrie Cranor, Saranga Komanduri,Michelle Mazurek, William Melicher, Sean Segreti, Rich Shay, and Blase Ur. Alessandro Acquisti received the 2018 IEEE Cybersecurity Award for Innovation for his groundbreaking work on the economics and behavioral economics of privacy and personal information security. Lorrie Cranor inducted into ACM CHI Academy, May 2017. Cynthia E Schairer Cynthia Cheung Caryn Kseniya Rubanovich Mildred Cho Lorrie Faith Cranor Cinnamon S Bloss. Disposition toward privacy and information disclosure in the context of emerging health technologies. Journal of the American Medical Informatics Association, ocz010, 02 April 2019. Hana Habib, Jessica Colnago, Vidya Gopalakrishnan, Sarah Pearman, Jeremy Thomas, Alessandro Acquisti, Nicolas Christin, and Lorrie Faith Cranor. Away From Prying Eyes: Analyzing Usage and Understanding of Private Browsing. Fourteenth Symposium on Usable Privacy and Security (SOUPS 2018), Baltimore, MD, pp. 159-175. A. Acquisti, I. Adjerid, R. Balebako, L. Brandimarte, L.F. Cranor, S. Komanduri, P.G. Leon, N. Sadeh, F. Schaub, M. Sleeper, Y. Wang, S. Wilson. Nudges for Privacy and Security: Understanding and Assisting Users’ Choices Online. ACM Computing Surveys (CSUR) 50(3), article no. 44, August 2017. Pardis Emami Naeini, Sruti Bhagavatula, Hana Habib, Martin Degeling, Lujo Bauer, Lorrie Cranor, and Norman Sadeh. Privacy Expectations and Preferences in an IoT World. SOUPS 2017, Santa Clara, CA, July 12-14, 2017. F. Schaub, R. Balebako, A. Durity, and L. Cranor. A Design Space for Effective Privacy Notices. SOUPS 2015. H. Almuhimedi, F. Schaub, N. Sadeh, I. Adjerid, A. Acquisti, J. Gluck, L. F. Cranor, Y. Agarwal. Your Location has been Shared 5,398 Times! : A Field Study on Mobile App Privacy Nudging. CHI2015. A. Rao, F. Schaub, N. Sadeh. What do they know about me? Contents and Concerns of Online Behavioral Profiles. PASSAT ’14. December 2014. J. R. Reidenberg, T. D. Breaux, L. F. Cranor, B. French, A. Grannis, J. T. Graves, F. Liu, A. M. McDonald, T. B. Norton, R. Ramanath, N. C. Russell, N. Sadeh, F. Schaub. Disagreeable Privacy Policies: Mismatches between Meaning and Users’ Understanding. 42nd Research Conference on Communication, Information and Internet Policy (TPRC ’14). September 2014. L. Cranor, A. Durity, A. Marsh, and B. Ur. Parents' and Teens' Perspectives on Privacy in a Technology-Filled World. SOUPS 2014. Rebecca Balebako, Abigail Marsh, Jialiu Lin, Jason Hong, Lorrie Faith Cranor. The Privacy and Security Behaviors of Smartphone App Developers. Workshop on Usable Security (USEC 2014). San Diego, CA, February 23, 2014. Rebecca Balebako, Rich Shay, and Lorrie Faith Cranor. Is Your Inseam a Biometric? A Case Study on the Role of Usability Studies in Developing Public Policy. Workshop on Usable Security (USEC 2014). San Diego, CA, February 23, 2014. To combat both the inherent and user-induced weaknesses of text-based passwords, administrators and organizations typically institute a series of rules – a password policy – to which users must adhere when choosing a password. There is consensus in the literature that a properly-written password policy can provide an organization with increased security. There is, however, less accord in describing just what such a well-written policy would be, or even how to determine whether a given policy is effective. Although it is easy to calculate the theoretical password space that corresponds to a particular password policy, it is difficult to determine the practical password space. Users may, for example, react to a policy rule requiring them to include numbers in passwords by overwhelmingly picking the same number, or by always using the number in the same location in their passwords. There is little published empirical research that studies the strategies used by actual users under various password policies. In addition, some password policies, while resulting in stronger passwords, may make those passwords difficult to remember or type. This may cause users to engage in a variety of behaviors that might compromise the security of passwords, such as writing them down, reusing passwords across different accounts, or sharing passwords with friends. Other undesirable side effects of particular password policies may include frequently forgotten passwords. In fact, the harm caused by users following an onerously restrictive password policy may be greater than the harm prevented by that policy. In this project, we seek to advance understanding of the factors that make creating and following appropriate password policies difficult, collect empirical data on password entropy and memorability under various password policies, and propose password policy guidelines to simultaneously maximize security and usability of passwords. We also explore the security and usability of some new types of passwords. Hana Habib, Pardis Emami Naeini, Summer Devlin, Maggie Oates, Chelse Swoopes, Lujo Bauer, Nicolas Christin, and Lorrie Faith Cranor. User Behaviors and Attitudes Under Password Expiration Policies. Fourteenth Symposium on Usable Privacy and Security (SOUPS 2018), Baltimore, MD, pp. 13-20. Sarah Pearman, Jeremy Thomas, Pardis Emami Naeini, Hana Habib, Lujo Bauer, Nicolas Christin, Lorrie Faith Cranor, Serge Egelman, and Alain Forget. Let’s go in for a closer look: Observing passwords in their natural habitat. In Proceedings of the 24th ACM Conference on Computer and Communications Security (CCS’17). 2017. J. Colnago, S. Devlin, M. Oates, C. Swoopes, L. Bauer, L. Cranor, and N. Christin. "It's Not Actually That Horrible": Exploring Adoption of Two-Factor Authentication at a University, CHI 2018 pages 456:1--456:11, 2018. Sean Segreti, William Melicher, Saranga Komanduri, Darya Melicher, Richard Shay, Blase Ur, Lujo Bauer, Nicolas Christin, Lorrie Cranor, and Michelle Mazurek. Diversify to Survive: Making Passwords Stronger with Adaptive Policies. SOUPS 2017, Santa Clara, CA, July 12-14, 2017. H. Habib, J. Colnago, W. Melicher, B. Ur, S. Segreti, L. Bauer, N. Christin, and L. Cranor. Password Creation in the Presence of Blacklists. USEC 2017, February 26, 2017, San Diego, CA. W. Melicher, B. Ur, S. Segreti, S. Komanduri, L. Bauer, N. Christin, L. Cranor. Fast, Lean, and Accurate: Modeling Password Guessability Using Neural Networks. USENIX Security, August 10-12, 2016, Austin, TX. W. Melicher, D. Kurilova, S. Segreti, P. Kalvani, R. Shay, B. Ur, L. Bauer, N. Christin, L. F. Cranor, and M. L. Mazurek. Usability and security of text passwords on mobile devices. CHI'16. R. Shay, S. Komanduri, A. Durity, P. Huh, M. Mazurek, S. Segreti, B. Ur, L. Bauer, N. Christin, L. Cranor. Designing Password Policies for Strength and Usability. ACM Trans. Inf. Syst. Secur. 18, 4, Article 13 (May 2016), 34 pages. B. Ur, F. Noma, J. Bees, S. Segreti, R. Shay, L. Bauer, N. Christin, L Cranor. "I Added '!' At The End To Make It Secure": Observing Password Creation in the Lab. SOUPS2015. C. Canfield, A. Davis, B. Fischhoff, A. Forget, S. Pearman and J. Thomas Replication: Challenges in Using Data Logs to Validate Phishing Detection Ability Metrics. SOUPS 2017. A. Forget, S. Pearman, J. Thomas, A. Acquisti, N. Christin, L. Cranor, S. Egelman, M. Harbach, and R. Telang. Do or Do Not, There Is No Try: User Engagement May Not Improve Security Outcomes. SOUPS 2016, Denver, CO, June 22-24, 2016, 97-111. A. Forget, S. Komanduri, A. Acquisti, N. Christin, L.F. Cranor, and R. Telang. Security Behavior Observatory: Infrastructure for long-term monitoring of client machines. Technical Report CMU-CyLab-14-009, CyLab, Carnegie Mellon University, July 2014. Manya Sleeper, Lorrie Faith Cranor, and Sarah K. Pearman. 2017. Exploring Topic-Based Sharing Mechanisms. CHI 2017. P. Klemperer, Y. Liang, M. Mazurek, M. Sleeper, B. Ur, L. Bauer, L.F. Cranor, N. Gupta, and M. Reiter. Tag, You Can See It! Using Tags for Access Control in Photo Sharing. CHI 2012. K. Vaniea, L. Bauer, L.F. Cranor, and M.K. Reiter. Studying access control usability in the lab: Lessons learned from four studies. In LASER 2012–Learning from Authoritative Security Experiment Results, July 2012. K. Vaniea, L. Bauer, L.F. Cranor, and M.K. Reiter. Out of sight, out of mind: Effects of displaying access-control information near the item it controls. In Proceedings of the Tenth Annual Conference on Privacy, Security and Trust, July 2012. M. Mazurek, J.P. Arsenault, J. Bresee, N. Gupta, I. Ion, C. Johns, D. Lee, Y. Liang, J. Olsen, B. Salmon, R. Shay, K. Vaniea, L. Bauer, L.F. Cranor, G.R. Ganger, and M.K. Reiter. Access Control for Home Data Sharing: Attitudes, Needs and Practices. CHI 2010. When systems rely on a "human in the loop" to carry out a security-critical function, cyber trust indicators are often employed to communicate when and how to perform that function. Cyber trust indicators typically serve as warnings or status indicators that communicate information, remind users of information previously communicated, and influence user behavior. They include a variety of security- and privacy-related symbols in the operating system status bar or browser chrome, pop-up alerts, security control panels, or symbols embedded in web content. However, a growing body of literature has found the effectiveness of many of these indicators to be rather disappointing. It is becoming increasingly apparent that humans are a major cause of computer security failures and that security warnings and other cyber trust indicators are doing little to prevent humans from making security errors. In some cases, it may be possible to redesign systems to minimize the need for humans to perform security-critical functions, thus reducing or eliminating the need for security warnings. However, in many cases it may be too expensive or difficult to automate security-critical tasks, and systems may need to rely on human judgment. In these cases, it is important to situate security indicators both spatially and temporally to maximize their effectiveness, and to design them to communicate clearly to users. The goal of this research is to systematically study the effectiveness of cyber trust indicators and develop approaches to making these indicators most effective and usable. We are currently focusing on security warning dialogs. See also our work on privacy indicators on our privacy decision making research page. C. Bravo-Lillo, L. Cranor, S. Komanduri, S. Schechter, M. Sleeper. Harder to Ignore? Revisiting Pop-Up Fatigue and Approaches to Prevent It. SOUPS 2014. C. Bravo-Lillo. Improving Computer Security Dialogs: An Exploration of Attention and Habituation PhD Thesis, Engineering & Public Policy Department, Carnegie Mellon University, Pittsburgh, PA, May 2014. C. Bravo-Lillo, L.F. Cranor, J. Downs, S. Komanduri, R.W. Reeder, S. Schechter, and M. Sleeper. Your Attention Please: Designing security-decision UIs to make genuine risks harder to ignore. In Proceedings of the Eight Symposium On Usable Privacy and Security (SOUPS ’13), Newcastle, United Kingdom, 2013. L. Bauer, C. Bravo-Lillo, L. Cranor, and E. Fragkaki. Warning Design Guidelines. CMU-CyLab-13-002. February 5, 2013. C. Bravo-Lillo, L. Cranor, J. Downs, S. Komanduri, S. Schechter, and M. Sleeper, Operating system framed in case of mistaken identity: Measuring the success of web-based spoofing attacks on OS password-entry dialogs, in Proceedings of the 19th ACM Conference on Computer and Communications Security, ACM, 18 October 2012. C. Bravo-Lillo, L.F. Cranor, J.S. Downs, S. Komanuri. Bridging the Gap in Computer Security Warnings: A Mental Model Approach. IEEE Security & Privacy, 2011: 18-26. Looking for some of our work that you can't find under "current projects"? Check here for our past projects. When Internet users are asked to make "trust" decisions they often make the wrong decision. Implicit trust decisions include decisions about whether or not to open an email attachment or provide information in response to an email that claims to have been sent by a trusted entity. Explicit trust decisions are decisions made in response to specific trust- or security-related prompts such as pop-up boxes that ask the user whether to trust an expired certificate, execute downloaded software, or allow macros to execute. Attackers are able to take advantage of most users' poor trust decision-making skills through a class of attacks known as "semantic attacks." It is not always possible for systems to make accurate trust decisions on a user's behalf, especially when those decisions require knowledge of contextual information. The goal of this research is not to make trust decisions for users, but rather to develop approaches to support users when they make trust decisions. Our research began with a mental models study aimed at understanding and modeling how people make trust decisions in the online context and ultimately resulted in the development of anti-phishing training tools and filtering software. The tools developed by this project our being commercialized by Wombat Security. For our publications, see the Supporting trust decisions project page. A variety of tools have been developed to provide anonymity for various types of online interactions. Most of the work in this area has focused on improving the anonymity properties of these tools, and little has been done to improve their usability. We have been working on developing more usable interfaces for Tor. Abigail Marsh. An Examination of Parenting Strategies for Children's Online Safety. Carnegie Mellon Dissertation, Societal Computing, CMU-ISR-18-106. August 2018. M. Sleeper, A. Acquisti, L. Cranor, P. Kelley, S. Munson, NM. Sadeh. I Would Like To..., I Shouldn't..., I Wish I...: Exploring Behavior-Change Goals for Social Networking Sites. CSCW 2015: 1058-1069, Vancouver, BC, CA, March 14-18, 2015. J. Wiese, A.J. Brush, T. Scott Saponas. Phoneprioception: enabling mobile phones to infer where they are kept. CHI 2013. T. Vidas, E. Owusu, S. Wang, C. Zeng, and L. Cranor. QRishing: The Susceptibility of Smartphone Users to QR Code Phishing Attacks, USEC 2013 [originally published as CyLab Technical Report CMU-CyLab-12-022, November 2012]. H. Hibshi, T. Vidas, and L. Cranor. Usability of Forensics Tools: A User Study. IT Security Incident Management and IT Forensics (IMF), 10-12, May 2011. Janne Lindqvist, Justin Cranshaw, Jason Wiese, Jason Hong, and John Zimmerman. I'm the Mayor of My House: Examining Why People Use foursquare - a Social-Driven Location Sharing Application. In CHI 2011: Conference on Human Factors in Computing Systems, May 2011. Timothy Vidas, Nicolas Christin, Lorrie Cranor. Curbing Android Permission Creep. Web 2.0 Security & Privacy 2011. Oakland, CA, May 26, 2011. J. Downs, M. Holbrook, S. Sheng, and L. Cranor. Are Your Participants Gaming the System? Screening Mechanical Turk Workers. CHI 2010. Sarah Spiekermann and Lorrie Faith Cranor. Engineering Privacy. IEEE Transactions on Software Engineering. Vo. 35, No. 1, January/February, 2009, pp. 67-82. Ahren Studer, Christina Johns, Jaanus Kase, Kyle O'Meara, Lorrie Cranor. A Survey to Guide Group Key Protocol Development. Annual Computer Security Applications Conference (ACSAC) 2008, December 8-12, 2008, Anaheim, CA. A. McDonald and L. Cranor. How Technology Drives Vehicular Privacy. I/S: A Journal of Law and Policy for the Information Society Volume 2, Issue 3 (2006). X. Sheng and L. Cranor. An Evaluation of the Effectiveness of US Financial Privacy Legislation Through the Analysis of Privacy Policies. I/S: A Journal of Law and Policy for the Information Society, Volume 2, Number 3, Fall 2006, pp. 943-979. L. Cranor. 'I Didn't Buy it for Myself': Privacy and Ecommerce Personalization. Proceedings of the 2nd ACM Workshop on Privacy in the Electronic Society, October 30, 2003, Washington, DC. L. Cranor, J. Hong, and M. Reiter. Teaching Usable Privacy and Security: A guide for instructors. 2007. S. Egelman and L. Cranor. The Real ID Act: Fixing Identity Documents with Duct Tape. I/S: A Journal of Law and Policy for the Information Society, Volume 2, Number 1, Winter 2006, pp. 149-183. M. Geiger and L. Cranor, Counter-Forensic Privacy Tools: A Forensic Evaluation. ISRI Technical Report. CMU-ISRI-05-119, 2005. Romanosky, S., Acquisti, A., Hong, J., Cranor, L. F., and Friedman, B. 2006. Privacy patterns for online interactions. In Proceedings of the 2006 Conference on Pattern Languages of Programs (Portland, Oregon, October 21 - 23, 2006). PLoP '06. ACM, New York, NY, 1-9. 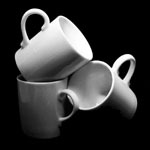 The HCISec Bibliography contains a good list of CUPS-related publications. Any opinions, findings, and conclusions or recommendations expressed in this material are those of the author(s) and do not necessarily reflect the views of the National Science Foundation or any of our other funders.